I was always intrigued by technology but never pursued my curiosity. Instead, I decided to study Engineering instead. As a Site Engineer, I felt my skills were not utilized to their fullest. I did not have the freedom to use my own ideas and it felt like my opinion counted for little. I just had to carry out instructions every day. All of these factors contributed to my days becoming repetitive and somewhat boring. I am now currently working as a Software Development intern at Injini, Africa’s first Edtech incubator. I’m very happy about the exciting opportunity and the new stimulating environment. Why did you take a coding course – are you looking to up-skill or start a new career? I decided to learn a new skill, which in turn would help me to change careers. How did you hear about HyperionDev? After searching the web, I came across HyperionDev. I was very impressed by the idea of personalised mentorship and online code review. Which HyperionDev course or Bootcamp did you take and why? With Hyperion, I started the Java Essentials Program, because I had some prior knowledge with Java. On completion of two Java Programs offered at Hyperion Development, I was advised to move onto the Mobile Development course. How has the course helped you reach your career goals and objectives? I think Java is an excellent language to begin your coding career. It gave me a basic understanding on which to build my knowledge in Mobile Development. I’m currently interning at one of Injini’s start-ups. I’m sure this will provide a much-needed experience. At HyperionDev, we believe that machines cannot replace humans, especially when it comes to education. Has the current set-up, including the 1:1 mentorship offered as part of our courses, been beneficial to you? Absolutely. 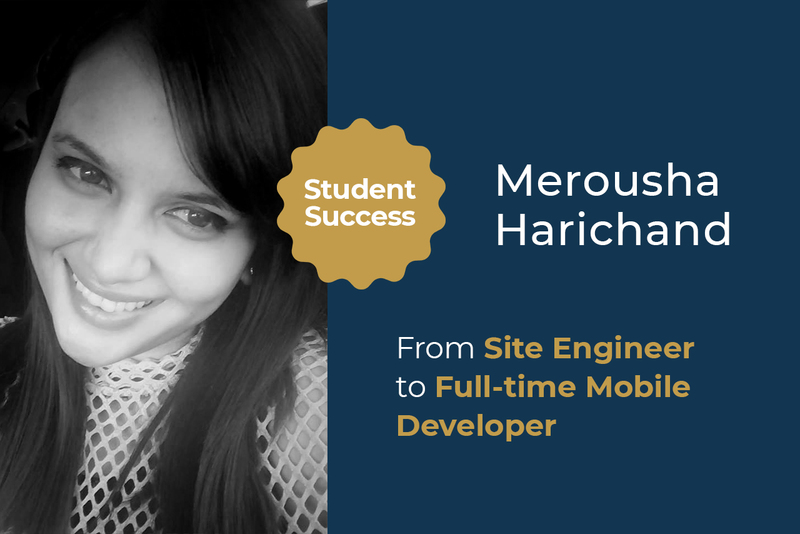 I could never have completed four courses with HyperionDev in a matter of four months without the assistance of my mentor. He provided relevant feedback on my code, as well as a fresh perspective on the problems I encountered. What aspect of the course did you particularly enjoy and what would you like to see in future courses? The technology we covered is the industry standard. All the programs I learnt are entirely relevant to my workplace. Do you have any other comments or advice for prospective students? If you want to learn a new in-demand skill, I would definitely recommend HyperionDev. Besides the mentorship, they provide excellent post-course support. You are never alone through the entire course. Should You Sign Up for a Coding Bootcamp?